This February, we had 30 new companies move into The Frontier! That’s 30 new businesses that are working to provide The Triangle will innovative IT services, marketing help, arts action or clinical trial testing. When we decided to expand the space to make room for new companies, we wanted to make sure that they added to the diverse mix of businesses in the space. In an effort to highlight our newest Pioneers, we asked them to participate in a fun video. 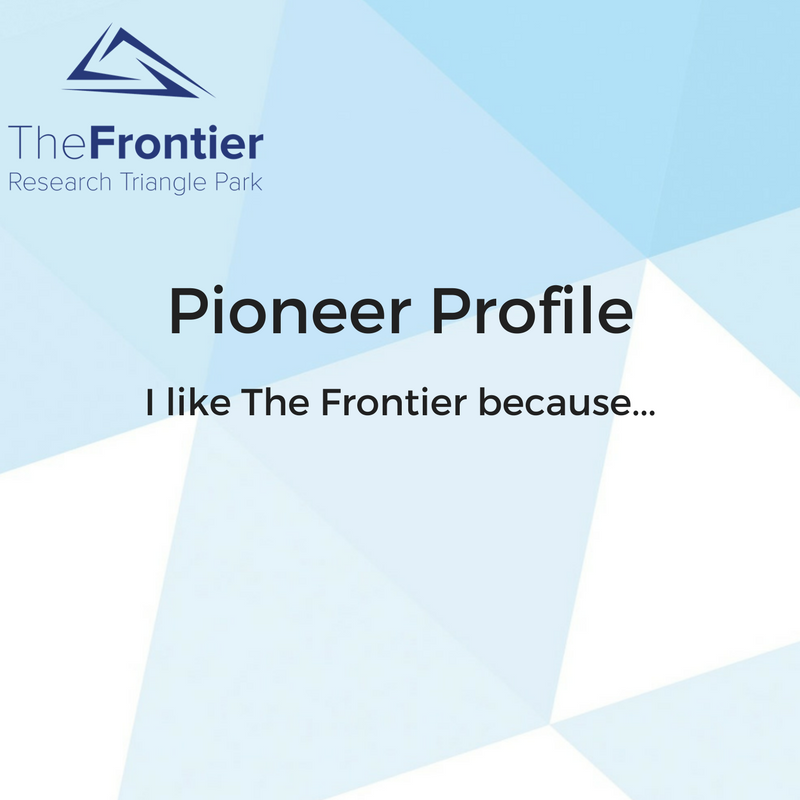 While we’ve told you many times why we think The Frontier is great, we decided to let our newest fans tell you in their own words. Huge thanks to AppViewX, Clinical Ambassador, Kevin Seifert Photography, Luminas Strategy, Oak City Technology, Reklis Coaching and Consulting, Sotomayor IP Consulting, Inc., STEM in the Park, and The MEDIC for making their Pioneer Profile debut!